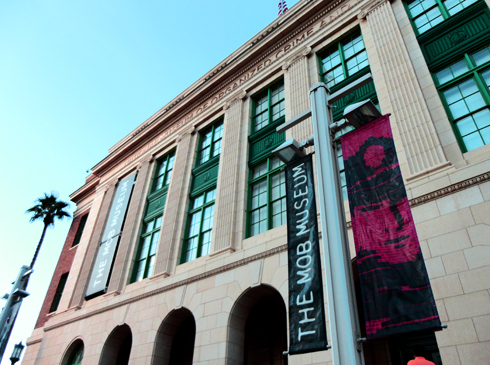 Inside the former federal building in downtown Las Vegas is one of the city's newest attractions, the Mob Museum. 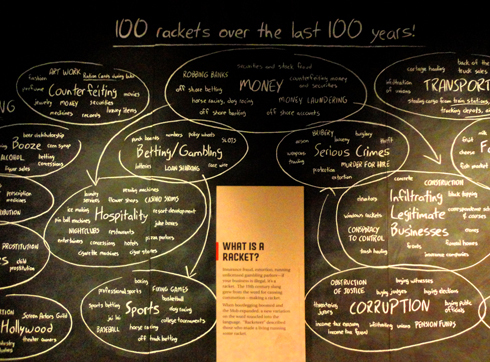 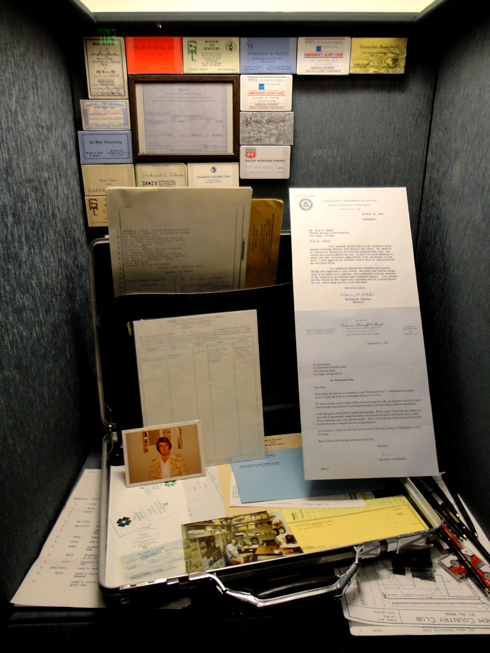 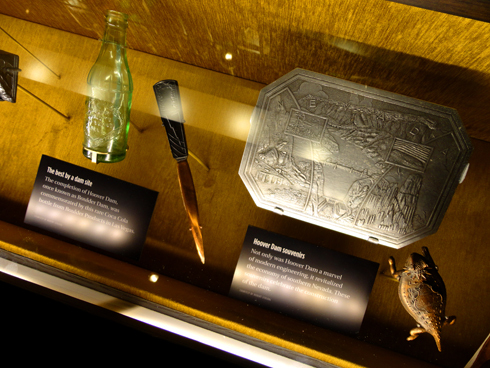 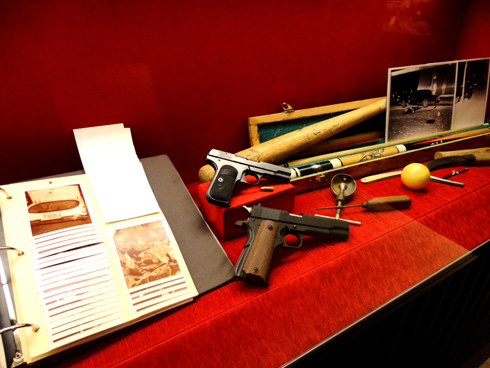 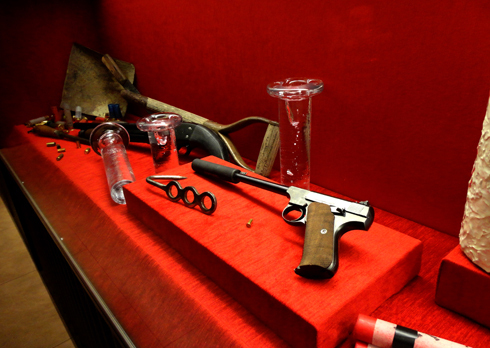 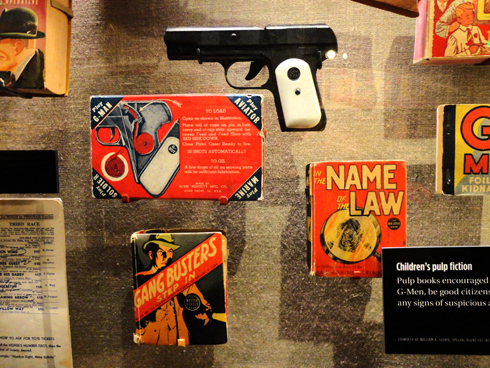 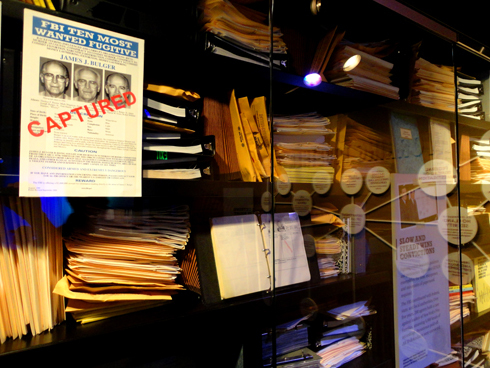 Opened earlier this year, the museum highlights the conflict between organized crime and law enforcement that dominated headlines and communities (such as Las Vegas) throughout the 20th century. 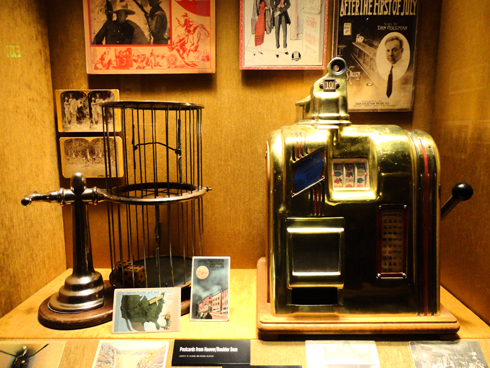 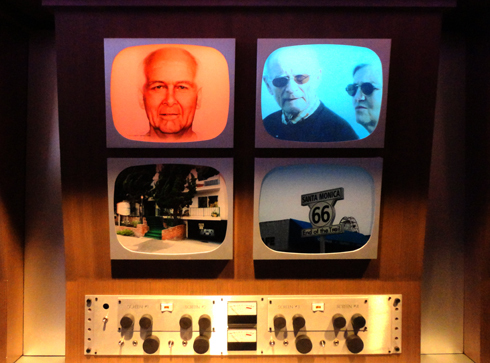 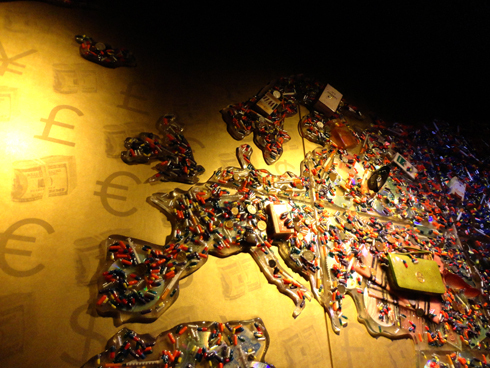 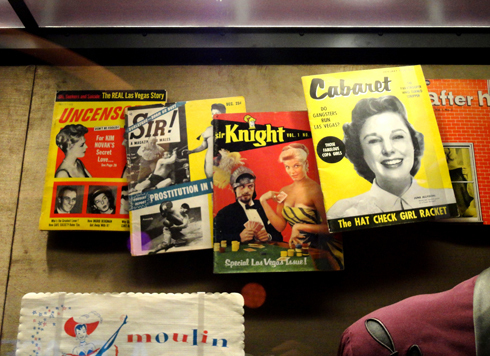 The museum features everything from vintage toys to interactive exhibits to various multimedia displays. 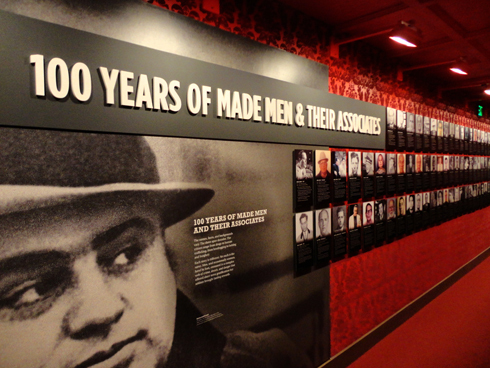 There's also plenty of information about famous mobsters, a showcase on gruesome murders and mob hits, highlights on the Vegas side of organized crime including how video surveillance in casinos is done, and a section on Hollywood's take on the mob. 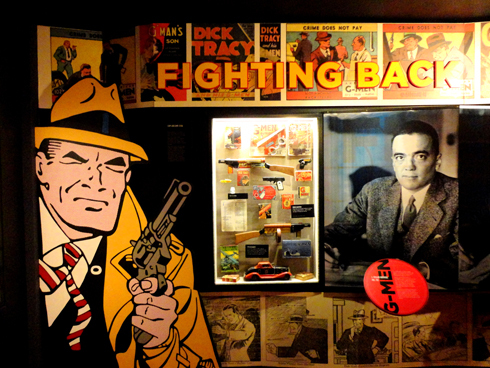 Mike and I spent a lot of time talking about Martin Scorsese's Casino on this trip, and it was cool to see info about Frank Rosenthal (who inspired Ace Rothstein in the film) throughout the museum. 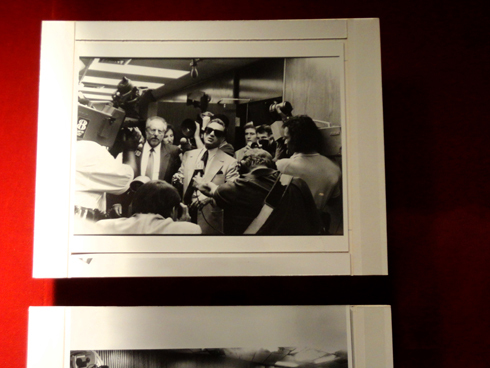 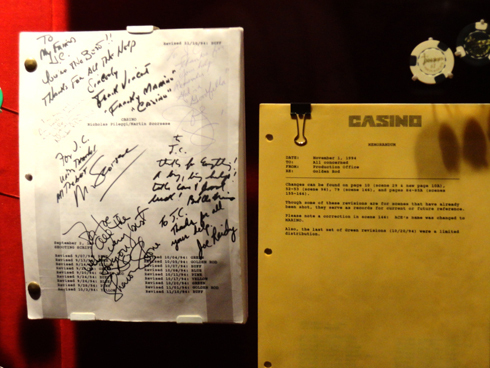 They even had an autographed copy of Casino's script, which I thought was pretty cool. 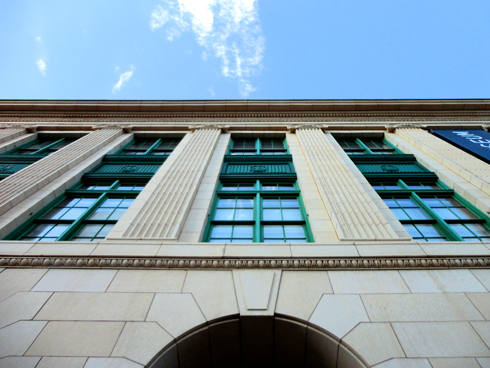 The building, which used to be the courthouse and post office, is also of historical significance. 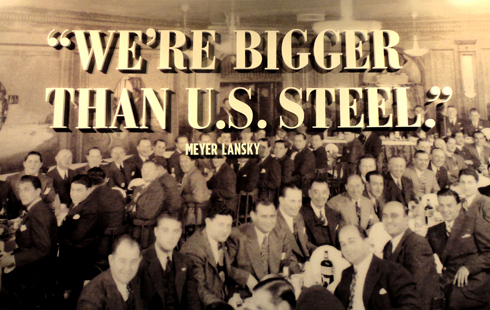 In the early 1950s the Kefauver Committee hearings on organized crime were held in 14 cities around the United States, which included this courtroom in Las Vegas. 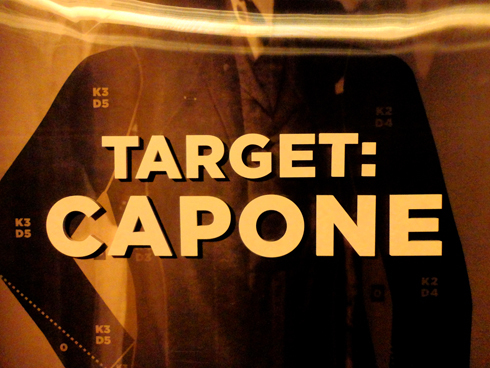 The multimedia show they do in the courtroom is full of projections on various screens that bring some of that history to life. 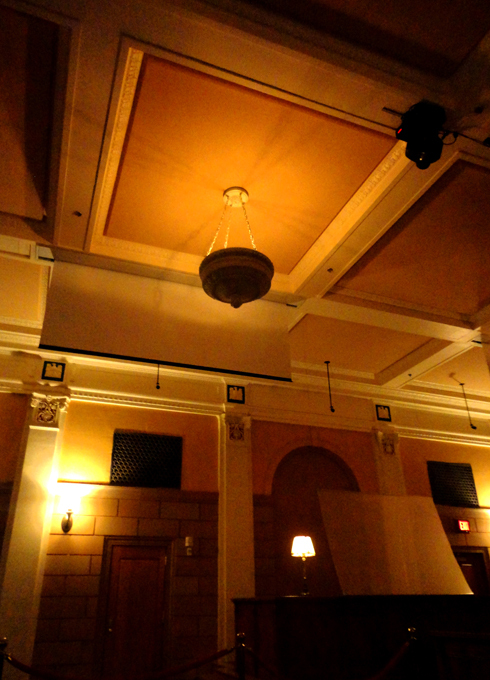 It was a neat presentation, and it made the story more interesting knowing that you were in the same room. 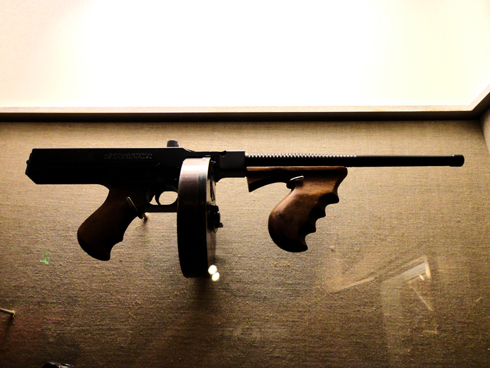 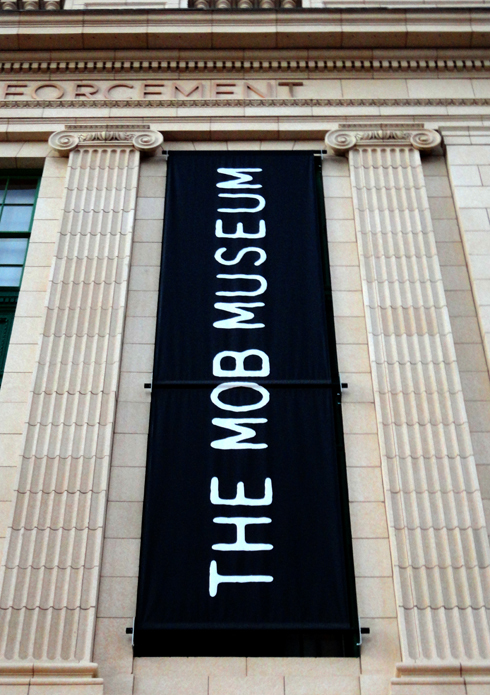 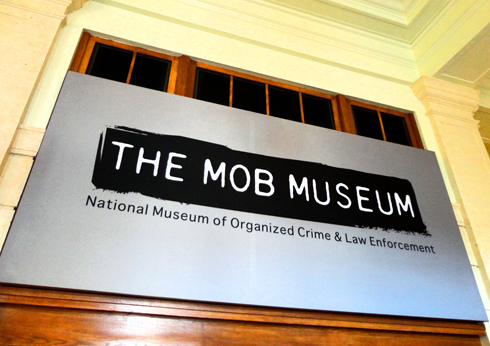 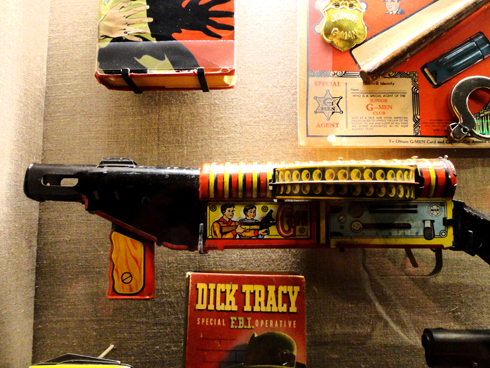 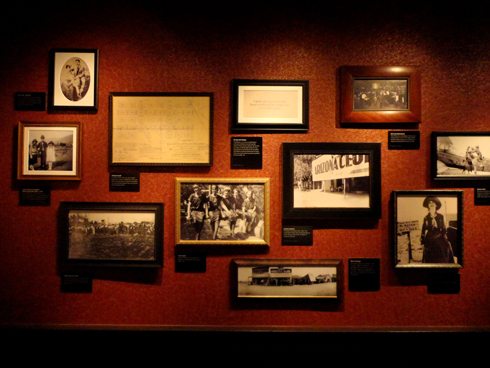 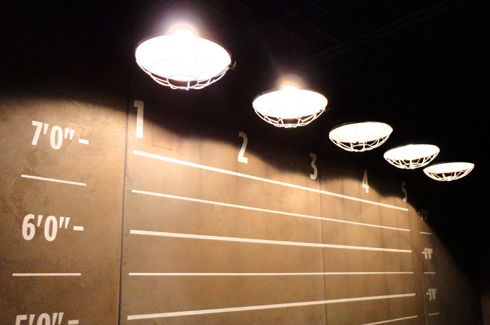 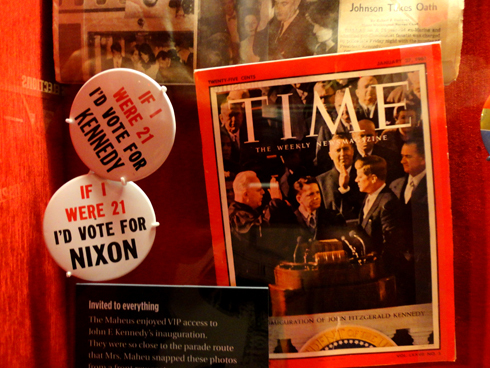 In short, the Mob Museum is a must see if you're spending some time downtown. 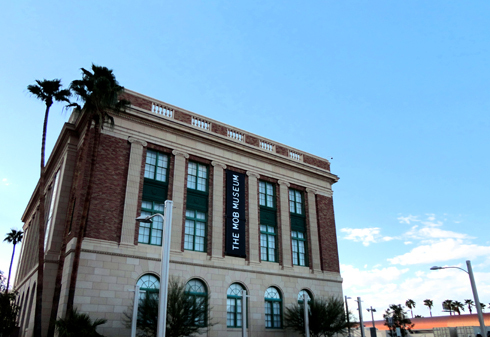 Not only is it one of the most genuine attractions in Las Vegas surrounding the history of the area, but the building is actually one of the few historical structures that hasn't been imploded. 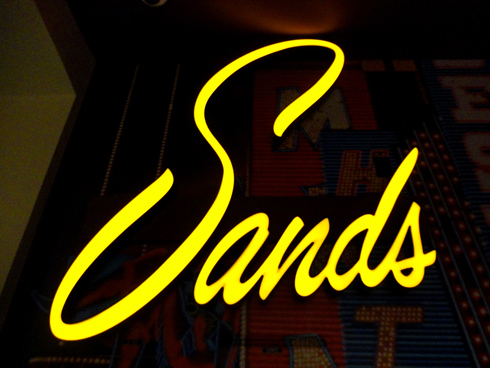 Do like we did, go here in the afternoon and use it as a lead in for an evening out on Fremont Street. 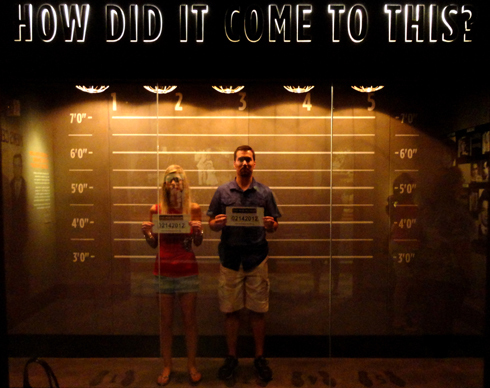 Mike and Erin pose for me behind a one-way mirror in the line up. 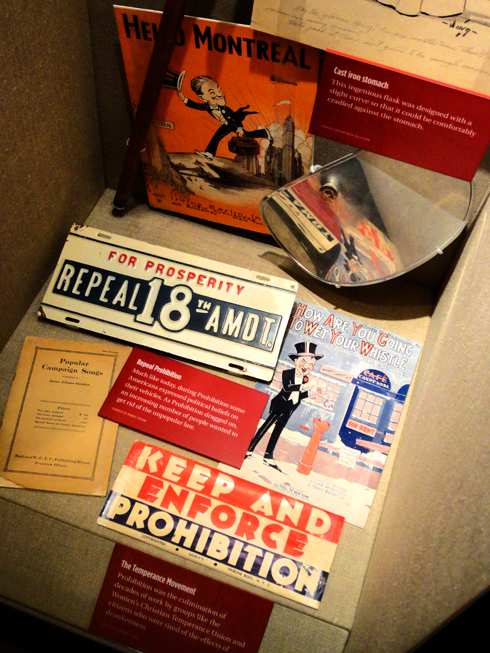 Hoover Dam souvenirs from when it was constructed. 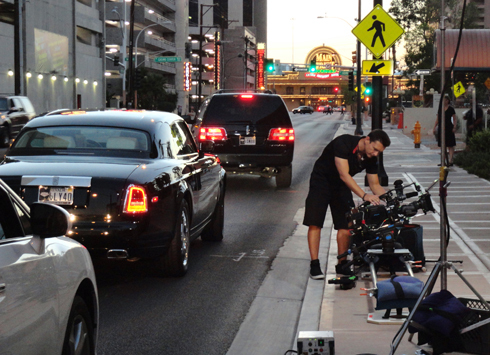 We stumbled onto the filming of a segment for some reality show as we left.